How Far is Om Shivam Arjun? Om Shivam Arjun is an upcoming project by the renowned real estate company, Om Shivam Builders Pvt. Ltd. 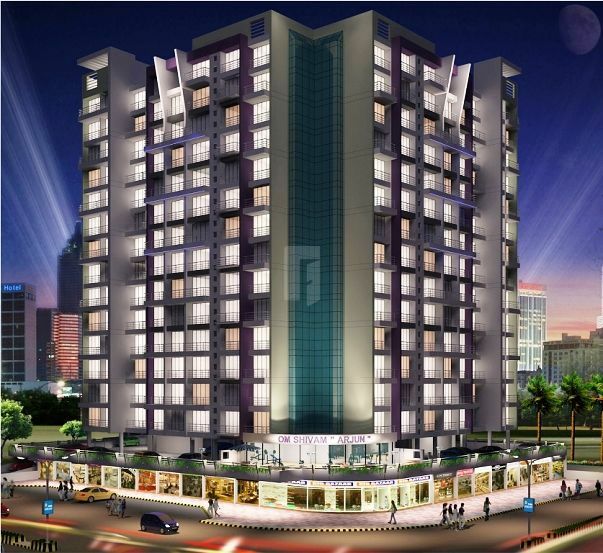 The project is located in the heart of Kamothe, Navi Mumbai, a very peaceful locality in the city. This project is under development stage and offers you thoughtfully crafted 1BHK flats in Navi Mumbai as well as spacious 2BHK flats for sale in Kamothe and also 3BHK with well - planned floor plan which ensures you maximum utilization space and unmatched designs. This is one of the best selling residential hubs in the locale with the serene environment in its vicinity. Navi Mumbai has seen a rise in the number of people settling down in the locale, this place is being chosen by the renowned builders to build residential and commercial complexes, as it is rapidly developing. If you are looking for an apartment that is in close proximity to other major parts of the city, and the one which equally serves the benefit of elegance and modern lifestyle, you must look into Om Shivam Arjun. Om Shivam Arjun is all set to serve you the best living experience with a wide range of amenities, for the convenience of the residents and offer you a very hassle-free lifestyle. Vitrified flooring in all rooms.Anti skid Flooring for Terrace balcony. Solid Flush door with designer laminate & Internal wooden doors. Concealed Copper wiring with adequate points for TV, cable, Telephone Ac, Refrigerator, Geyser , Washing Machine etc.